This is my every day colour. I love the shade and how rich it looks when it's on. 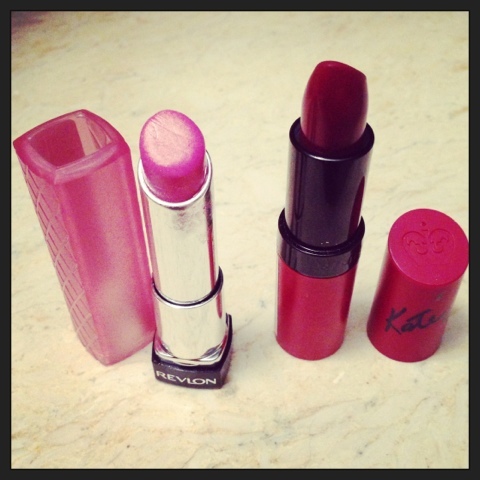 The colour is long-lasting too, so I can usually get through the whole day without the need to reapply. I'm a novice at blending eye shadows, so this is a good, full, go to shade if you want to wear one block colour. I got mine from House of Fraser for £14, money well spent! This lip butter is a complete contrast to the Kate lipstick I've just described. 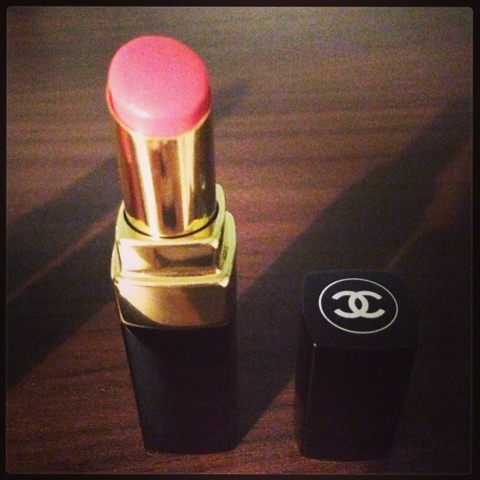 Its texture is very similar to the Chanel so it keeps the lips hydrated (and it was obviously quite a bit cheaper than the Chanel, a bargain at £7.99) This is my go to everyday lip butter...to be honest I treat it like a balm, the colour doesn't really last or stand out, but I love its texture and it's super easy to apply. This product is a life saver. I'm rubbish at remembering to apply creams, but with the cold winter weather last year I was finding that the skin on my hands was cracking due to my cold morning walks with the pooch. I tried loads of creams to no avail...until this little beauty came to me in a Christmas gift box. 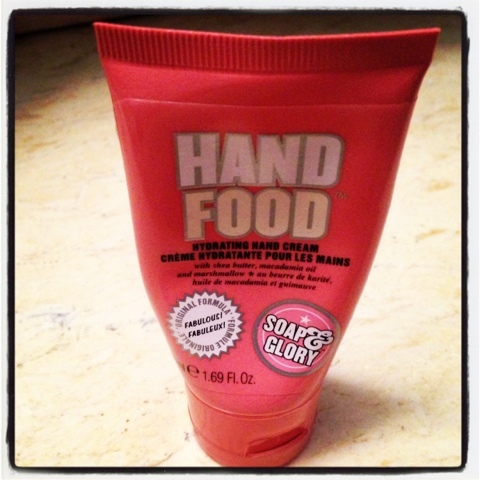 I think it retails in Boots for around £2.50 and considering how expensive hand creams can be (and I've tried loads!) it's an absolute snip. You only need a small amount and it smells amazing (like marshmallows!) 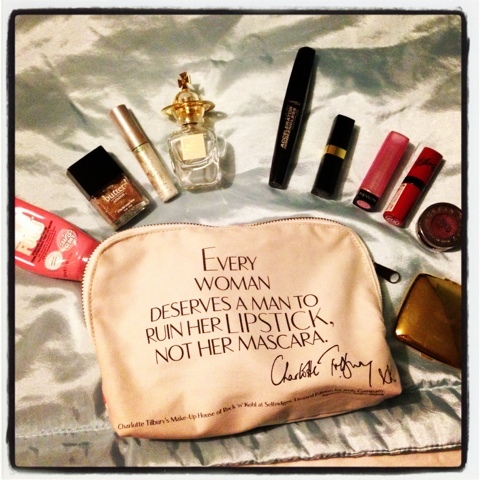 a real winter handbag must have! I have to confess I'm a bit of a crow when it comes to things that sparkle, and I adore glitter nail varnish. The only problem is, many of them look sparkly in the bottle, but not so good on your nails! 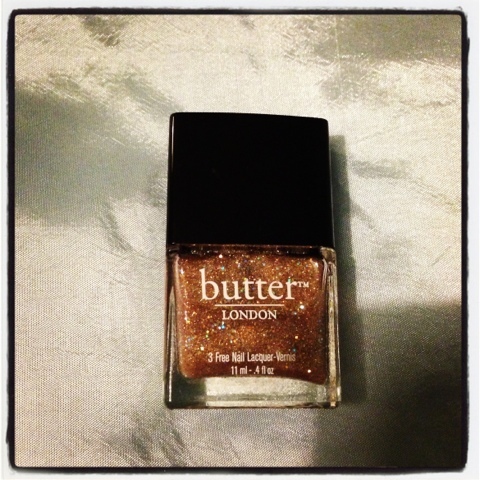 This Butter London varnish is the exception to the rule! Worn on its own or on top of another colour, the glitter really stands out, and I'd say you get a good 3 to 4 days before it starts to chip. Butter London have removed some of the harmful chemicals in their varnish too, so no damage to your nails as a result. Bonus! I got mine from Selfridges, but most good beauty halls and bigger Boots stores stock it at £12 a bottle. I love the quirky names too, I've got my eye on "Lovely Jubbly" for my next purchase :). 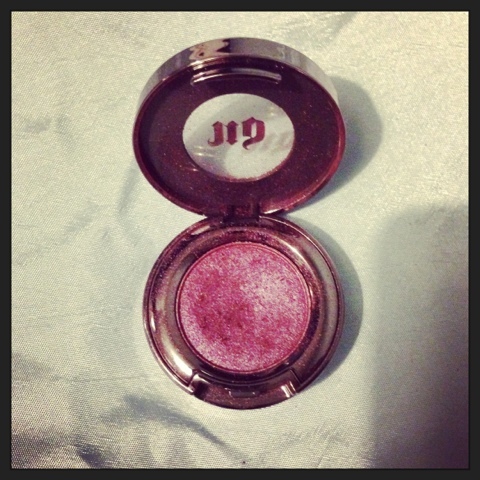 Another Urban Decay fave, I got this with a palette a while back...and even though it probably should have been shown the bin by now, I can't seem to let go. Again the glitter is gorgeous, but I tend to wear it more on top of my eye shadow than as a liner. One for a sparkly finish. The photo is a little shoddy (as is my product...well-loved!) but you can see them in all of their glory online at House of Fraser. The shade of mine is called "Distortion" and isn't available at House of Fraser, but you can still get it from Urban Decay's Official Website. "Distortion" a good name considering how battered my bottle is! I normally use Rimmel's "Extra WOW Lash" which I've always been pretty happy with. 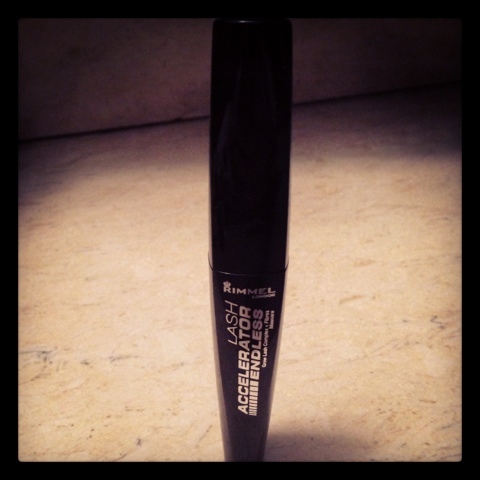 I tried this mascara on a whim when it was on offer, and I think I prefer it! The wand really separates the lashes, making them look fuller and longer, an effect which really opens up your eyes. I love it and it's a steal at £7.99! This is my ultimate, ultimate favourite. And not just because of my love for Viv...the smell is gorgeous and reminds me of that first visit to a Westwood store! The scent is long lasting, and is perfect for both everyday freshness and evening elegance. It is a little pricey (a 30ml bottle is £38 at Vivienne Westwood's online store) but if you hunt around some online fragrance sites, you can sometimes pick it up at a bargain price. For me price is irrelevant, it is my favourite perfume, and comes head and shoulders above any other fragrance that I wear. Not to mention the gorgeous bottle, which would look irresistible on any dressing table, don't you think? 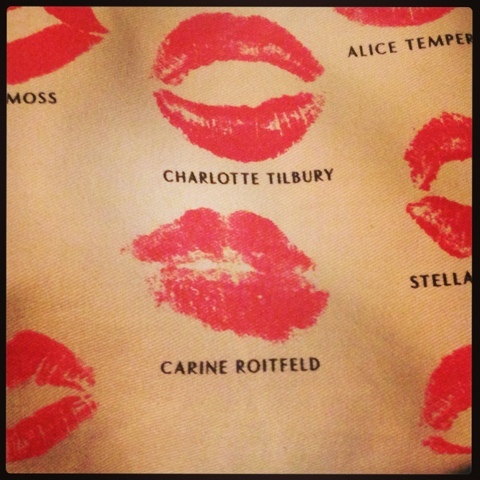 I couldn't end without mentioning my gorgeous Charlotte Tilbury make-up bag. This was bought at Selfridges when I was last in London (see my London Calling post) and was released as part of Charlotte's "Rock 'n' Kohl" range. I fell in love with the quote (and the funky lips!). 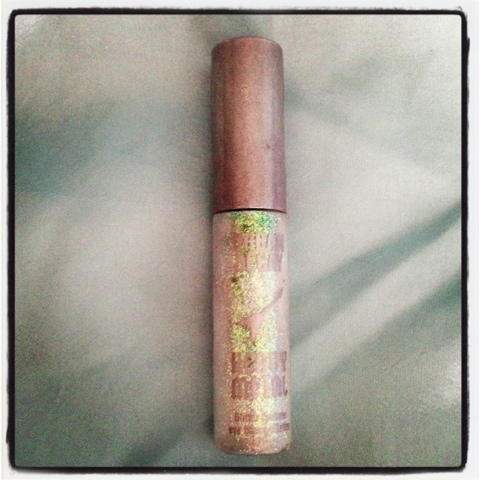 It's my little piece of make-up history! 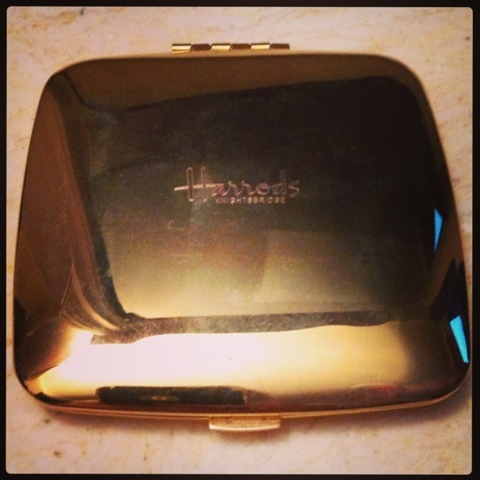 And finally, my little gold Harrods mirror was a gift from Mama L, and travels with me everywhere. I have no idea where she got it, or when for that matter as it wasn't given to me brand new, but all I know it is won't be going anywhere because its perfect!